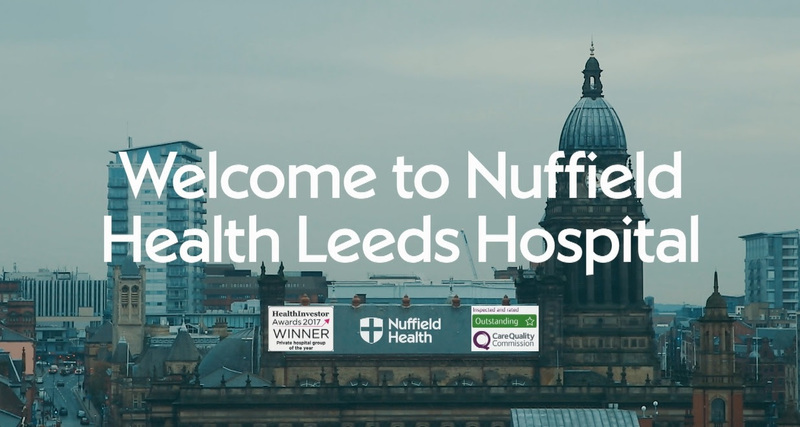 You can take a virtual tour in this new Nuffield Health Leeds Hospital video. With a rating of ‘outstanding’ from the CQC, an easily accessible city centre location and a full range of diagnostic / treatment facilities it is easy to see why it is a popular choice for private consultations and treatment. Easy access to efficient specialist imaging facilities means that additional tests such as ultrasound, CT and MRI scanning are readily available. For more information, or to book a consultation please phone 0113 388 2189. After a previous femoral fracture and complicated total hip replacement, conventional knee replacement surgery can be challenging. Patient specific knee replacement offers an elegant solution to the problem. "From the new knee decision, through the extensive preparatory work, the attention to detail, the operating theatre, (I listened to the whole thing!) the post-op care, to the follow-up appointments, the experience was, perhaps surprisingly, hugely enjoyable. I got on well with Mr Farndon and all his team and whilst I am not volunteering for a second knee, if it became necessary I would ask for "the same again". Thank you."